The truth is, I just love cookies. And even though I try to eat healthily, I still want to eat cookies. So I started making myself these easy peasy little chocolate cookie bites, and they satisfy my cravings while still offering nutrients! 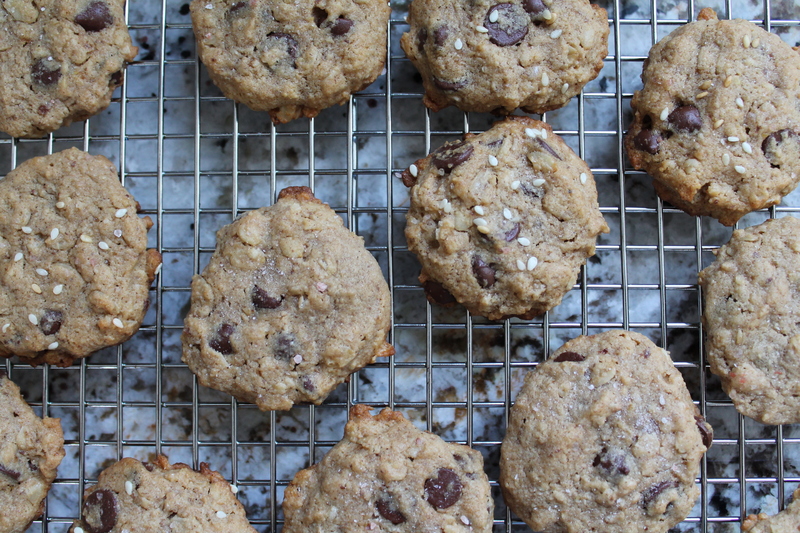 These babies are sweet and a hint of salty, chewy, chocolatey, and crisp. A weird thing happens when you have a newborn. 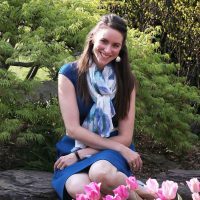 Suddenly, you find yourself revealing way more about parts of your body, your sleep habits, and bodily functions in general to your friends (and near strangers) than you ever would have otherwise. If you are breastfeeding, your entire life suddenly feels like it hinges on your ability to mimic a dairy cow. And if that is going poorly, for one reason or another, you may find yourself anxiously spending hours searching the internet, trying to figure out how to be a better cow. Which is how I discovered lactation cookies. Now that it’s Fall, I am going to be all about the baking. Leaves! Leaves turning orange and red and dripping from the trees and crunching underfoot. I think maple should feature as prominently in our Fall lineup as all the pumpkin and warm spices we normally expect at every turn. 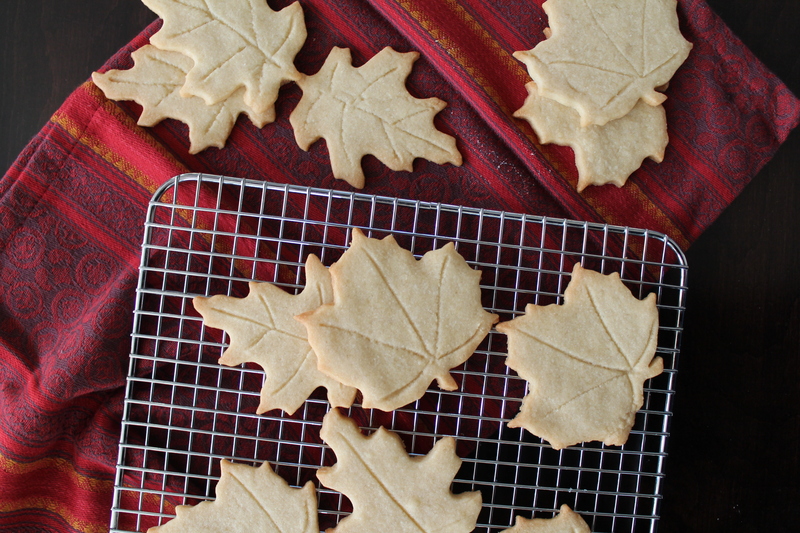 And these cookies, sweet with sappy maple syrup and spiced with nutmeg, are the perfect bite of Fall. My son loves to make up creative desserts. A few weeks ago, I told him I like cookie dough ice cream, and he responded that he was making me a “super delicious” cookie dough out of salt, pepper, baking soda, and sugar. He may need to grow a little in his understanding of baking chemistry. But he still has some seriously good ideas! 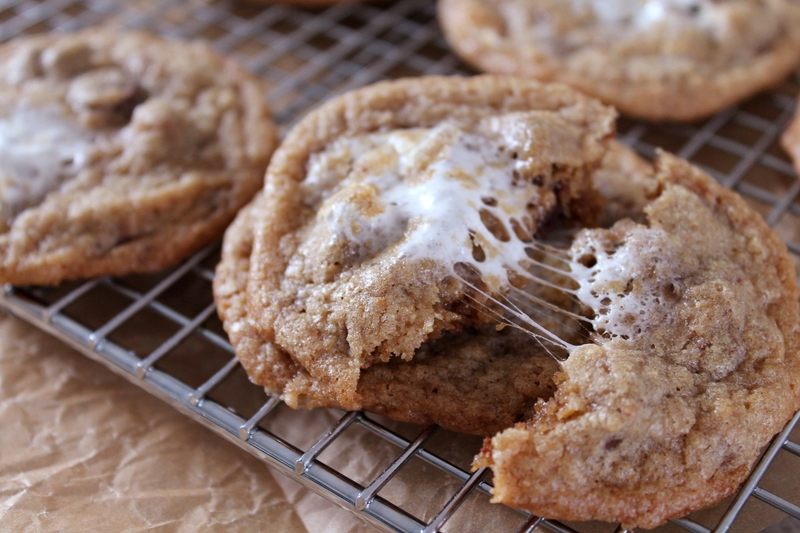 Like s’mores cookies. Which were totally scrumptious, and totally his idea. These cookies are so great. Stretchy, sweet marshmallows, mild graham flavor, and milk chocolate. Summer will thank you. Taste buds, get ready for a treat! It’s cookies. Cookies with everything good in them: cookies filled with more cookies as well as cream cheese and milk chocolate and malted milk powder. These are sneaky, late night, guilty pleasure cookies. 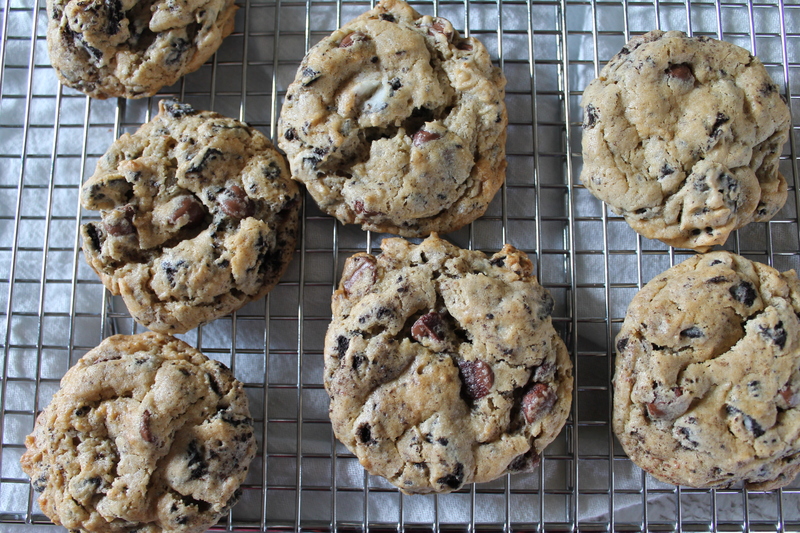 These cookies are the masters of the school yard, and everyone else might as well just go home. Yesterday, Jake decided to read all of my cookbooks. He pulled pretty much every single book off the shelf, one at a time, to ooh and aah over the glorious photos and recite every single letter in every single recipe title. Somehow in the middle of this, I developed a hankering for peanut butter cookies. I’m pretty sure that was Jake’s goal all along. 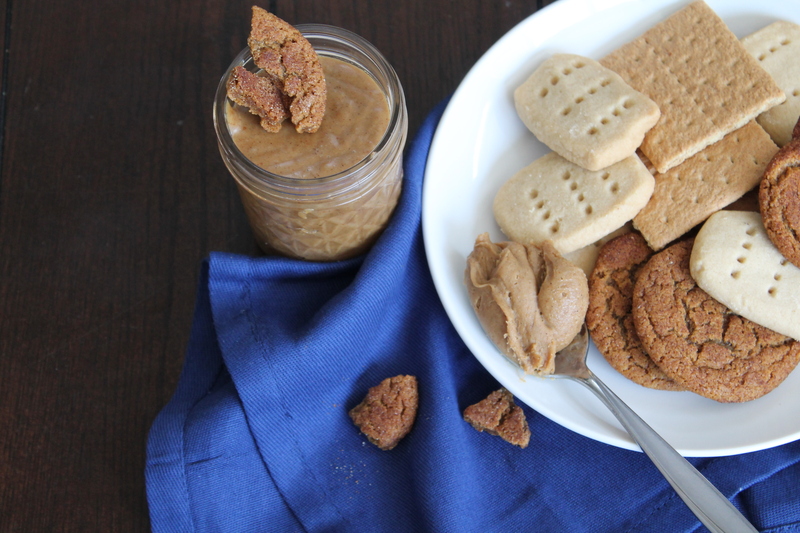 These are not your average criss-cross peanut butter cookie, oh no. These are thin, crispy-edged delights with soft, gooey centers. 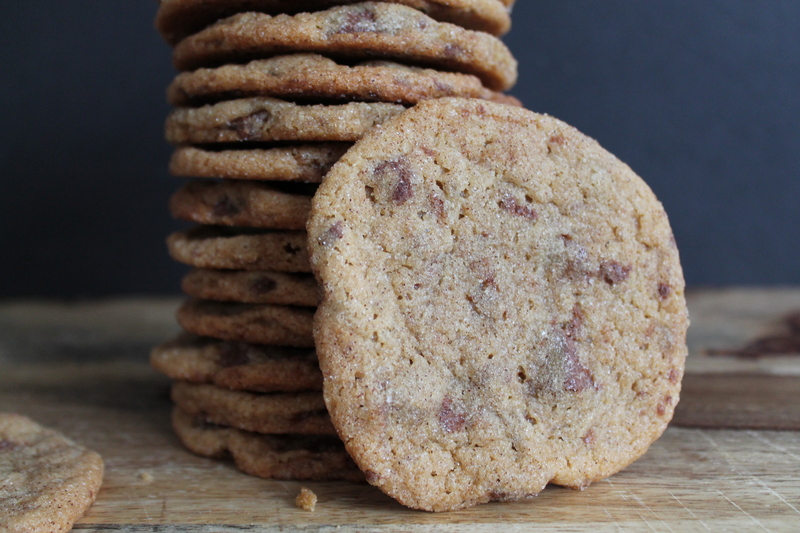 These are milk chocolate chip cookies to the max, plus a hint of snickerdoodle. In short, these peanut butter beauties are all kinds of amazing. I’ve been feeling pretty grinchy this Christmas season. This isn’t a fun time of year to be forbidden from eating any dairy of any kind. I have been lusting after trays of cookies and holiday cheese balls and getting grumpier and grumpier. But I just can’t imagine Christmastime without holiday baking, even if I can’t eat the spoils myself. And wouldn’t you know it, the cookie that was at the top of my list to try this year actually turned out to be dairy free! And gluten free! 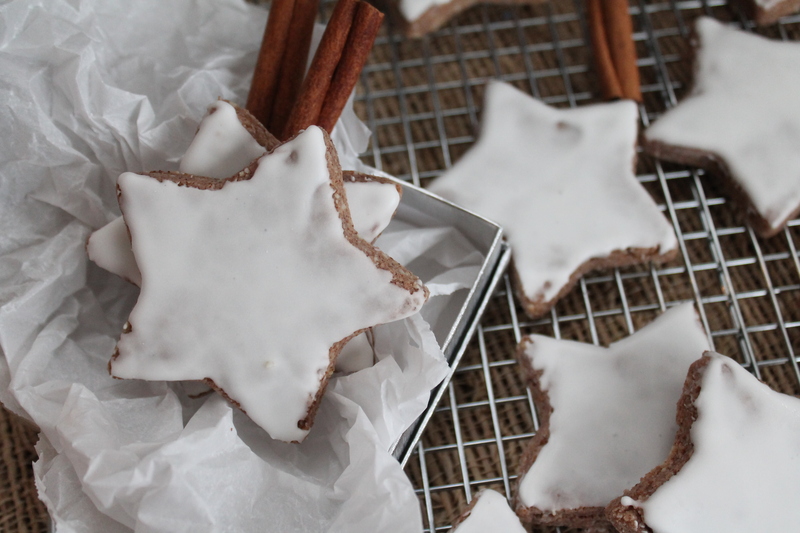 These cinnamon stars (little German lesson for you: Zimt = cinnamon, Sterne = stars. Literal naming at work…) are chewy and moist and simply amazing. Especially if you thought you were staring down a month without cookies. 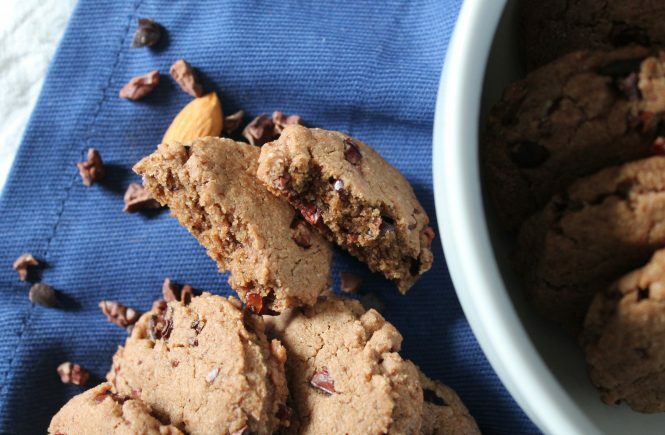 If you know anyone with food sensitivities, make these immediately. They will be so grateful! 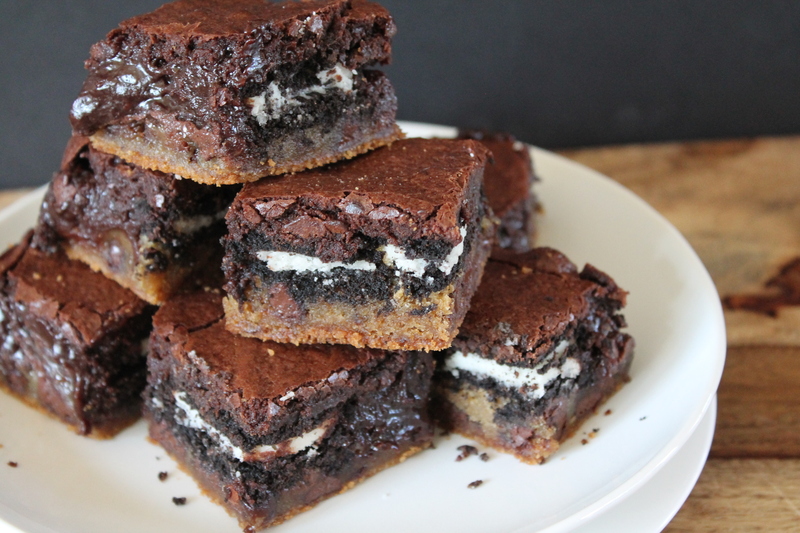 I’m in the middle of my second one of these cookie-brownie bars as I type this, smearing my keyboard with buttery fingers and dropping tiny shards of Oreo between the keys. I’m actually not sure I’m going to be able to stop eating these. They are that good! If you live within a 5-mile radius of me, have mercy and come over to eat some sugar. Save me from myself! I don’t know about you, but I love a good gooey dessert. Especially a good gooey cookie or a good gooey butter cake. And these tea cakes are the best of both of those! 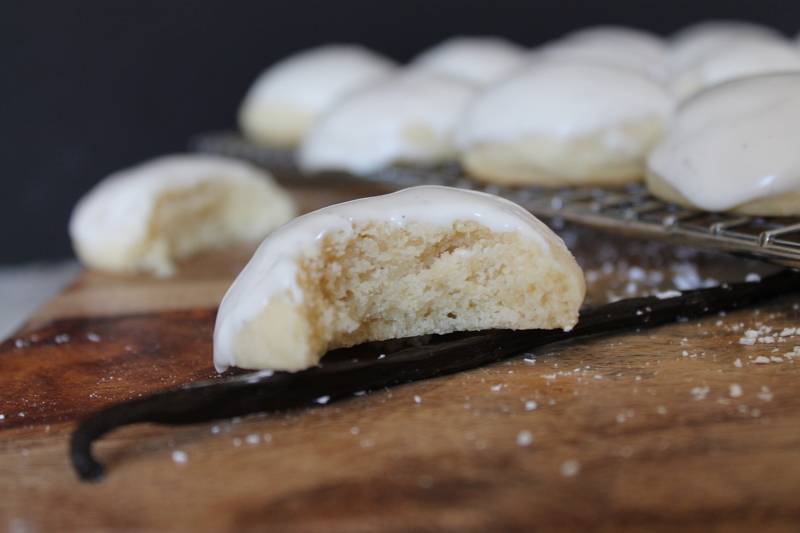 Soft and slightly underbaked, richly vanilla, with a sweet tangy glaze.